When will be Thunderbirds 2086 next episode air date? Is Thunderbirds 2086 renewed or cancelled? Where to countdown Thunderbirds 2086 air dates? Is Thunderbirds 2086 worth watching? Thunderbirds 2086 was a series based on Gerry Anderson's 1965-66 "Supermarionation" British series Thunderbirds. Produced in 1982 in Japan, this animated series dealt with a futuristic version of International Rescue, an organization dedicated to saving lives. In the year 2066 (a year after the original "Thunderbirds" took place), the World Federation was formed, and twenty years later, the all-new Thunderbirds would be organized. Under the authority of the International Rescue Organization, run by Dr. Gerald Simpson, the team consisted of five pilots: Dylan Beyda, Jessie Rigel, Jonathon Jordan Jr., Gran Hanson and Kallan James. Instead of the usual 5 (or 6) vehicles used in the original, there were 17 separate crafts for the pilots to operate. It first aired in the US on the now-defunct Prism TV network in 1983, and reached the UK in 1986. In Japan, the show did not perform well, with only 18 episodes shown, although 3 of the remaining 6 episodes were exported back to Japan under the "Thunderbirds 2086" format (in the Land of the Rising Sun, the show was named "Scientific Rescue Team TechnoVoyager"). 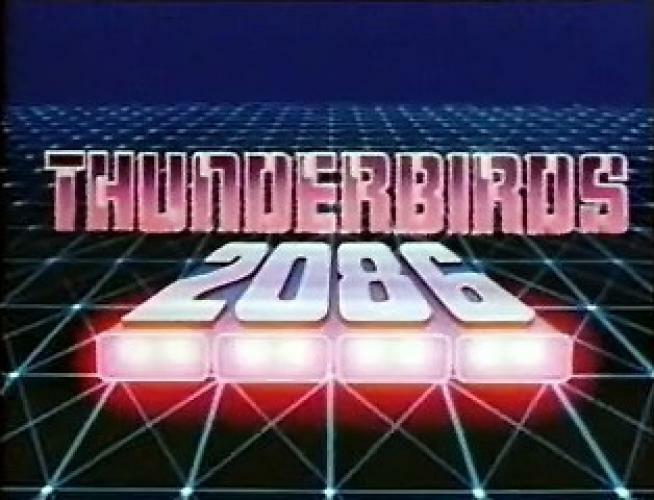 Thunderbirds 2086 only ran one season. EpisoDate.com is your TV show guide to Countdown Thunderbirds 2086 Episode Air Dates and to stay in touch with Thunderbirds 2086 next episode Air Date and your others favorite TV Shows. Add the shows you like to a "Watchlist" and let the site take it from there.